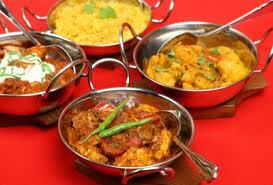 One of the most favourite cuisines of people of Dubai is Indian food. You can judge this from the hefty number of Indian restaurants operating in the city, which includes some international chains as well. These Indian restaurants in Dubai offer almost all kinds of dishes, which belong to this fare and a number of them even import spices and other ingredients directly from India, so their customers would get the traditional homemade gastronomy flavor. Aside from this, Indian restaurants in Dubai offer various other services as well. This includes carryout facility, outdoor catering, organizing an event or private function and much more. 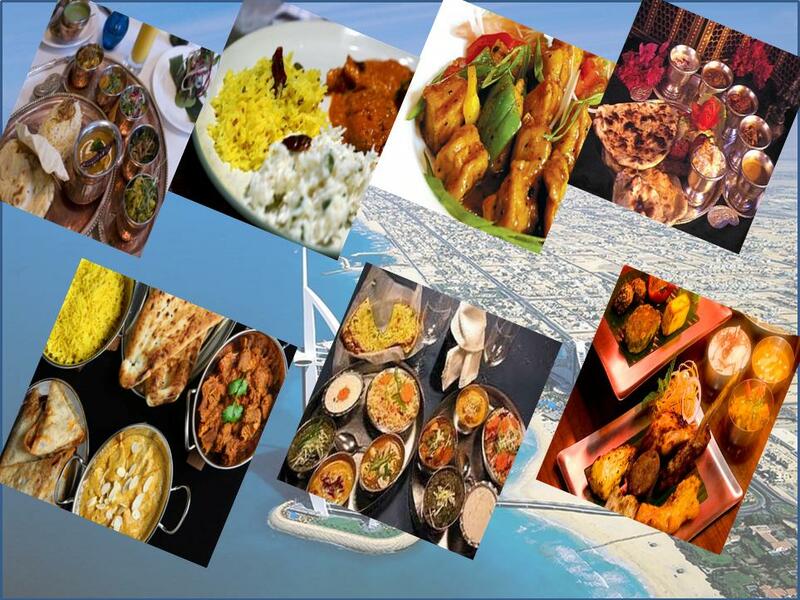 You can get further details about these Indian restaurants of Dubai from this listing. People of Dubai can find an Indian restaurant in Ramada Chelsea Hotel of Al Barsha, Dubai, where delectable varieties of both Indian and Pakistani cuisines are served in a warm and comfortable environment. The master chefs of this eating place prepares these cuisines by following the traditional methods so the guests would get the original Asian food taste and went happy out of this venue. Apart from this, guests can also take pleasure from the live music entertainment showcased at this eatery. It is because of these fine features, Spice Restaurant has been able to tempt lot of folks in Dubai. Bay Leaf Restaurant is another family oriented Indian dinning venue in Al Barsha, Dubai that serves traditional Indian dishes with intense to subtle flavours. These flavours come from the fresh and traditional ingredients used in these Indian dishes, which then creates an aroma that can easily allure any foodie. In addition to the taste, the chefs also maintain high level of quality, while preparing these dishes, which are affordable as well. In brief, this venue will not let down foodies down, who have not tried Indian cuisine earlier. There are a lot of Indian bistros is Bur Dubai, but Aamchi Mumbai Restaurant is different from the rest, as this eating place serves authentic north Indian food in this district. Here guests can order different varieties of north Indian cuisine that are very luscious and are of first-rate quality. Regular drinks and desserts are also on its menu. Dhow Ka Aangan within Dhow Palace Hotel uses freshly grinded spices and herbs to prepare authentic Indian fare in the area of Bur Dubai. Due to this reason, their dishes give more flavour and aroma as compared to the others eating places. Therefore, this restaurant attracts a lot of Indian food lovers in Dubai. Those, who want royal treatment at an Indian restaurant and enjoy a lavish dinner or lunch should head to Antique Bazaar Restaurant in Four Points by Sheraton. This restaurant serves traditional Indian food that once ruled the hearts of royal families back in Indian. The decor of this restaurant is also similar to a palace. Reasonable rates, high quality and delicious Indian and other Asian fares are the top highlights of Afghan Khorasan Kabab House that is situated nearby Naif market in the area of Deira, Dubai. Indian food lovers can relish authentic and delicious dishes from this venue at reasonable prices in a calm and comfortable atmosphere. The restaurant in located in Sheraton Dubai Creek Hotel & Towers in the locality of Deira. It offers its valuable customers a delicious Indian gastronomic voyage. This eating place serves appetizing Indian dishes like tandoori items, exotic curries, hot oven bread, vegetable delicacies and lot more under the direction of well-known cook Anuj Sood. Handi Restaurant in Taj Palace Hotel of Deira, Dubai is another exceptional place to savour delicacies from India, as it dishes up north Indian cuisines to the foodies. The mouth-watering food of this eatery has made its mark right from the very beginning, as the flavours and aroma of the dishes served at Handi Restaurant are beyond imagination. This Indian restaurant is also rated as one of the top eateries in Dubai Marina. With menu consist of Pakistani, Afghani and Indian cuisines. This not only gives visitors an extensive range to choose from, but also satisfy their craving for consuming traditional and authentic Indian food in tranquil settings. Bombay by the Bay is another top destination to savour the best of the Indian food in Dubai Marina, as their top chefs put all their efforts to prepare the best dishes with traditional herbs and spices. So the guests would order for more and come back to Bombay by the Bay over and over again. In comparison to the restaurants specified above, Royal Kitchen Kuisine is not a very contemporary and lavish setting bistro, but it’s delicious and enticing Indian food definitely keeps its gleaming with pride, as cook prepares each dish very delicately. The menu also includes, Pakistani, Chinese and pasta dishes, which are also very tasty. Presenting Indian cooking in an innovative way is the speciality of Armani/Amal Restaurant that is tucked on the third level of the Armani Hotel in Downtown Dubai. Visitors will find different types of Indian dishes at this venue, but they have same traditional flavours and aroma that can easily tinkle anyone’s taste buds. Aside from food, the menu of this eatery also includes various drinks that help in boosting the taste of the fare. The decor of this restaurant is also pretty impressive, as it creates a wonderful ambience and makes the guests feel quite relaxing and delightful at the same time. Folks, who love to eat kababs when it comes to traditional Indian food, would definitely know about the Great Kabab Factory restaurant at the Dubai Mall in the region of Downtown Dubai. This fabulous Indian restaurant serves authentic varieties of the region, which are popular not only among the locals, but also with the tourists, who are often found at this venue. The price range of food at the Great Kabab Factory restaurant is also reasonable because of this reason lot of people visit this venue to consume delicious buffet. Chicken Tikka Inn is considered unparallel when it comes to producing tender and luscious barbeque in Dubai. The chefs of this restaurant have mastered this art by marinating the BBQ meat with their very own in-house spices. Therefore, its competitors failed to match the rich flavours of this eatery’s BBQ and other dishes. This fine dining bistro dishes up authentic Indian and vegetarian dishes, which have great flavours and strong aroma that will make the guests feel as if they on a amazing culinary expedition, where every bite of food feels rich in taste and excellent in quality. On top of it, elegant surroundings of this restaurant will make this an unforgettable dining experience for people of Dubai. Amala Restaurant is also a fine dining eatery that is located within Zabeel Saray Hotel in Jumeirah, Dubai. Authentic North-Indian fare is the speciality of this venue, which is extremely delicious and first-rate in quality as well. Decor of this restaurant perfectly complements the food. Luscious varieties of Indian food can be enjoyed at Delhi Darbar Restaurant, if you visit Al Karama locality in Dubai, UAE. This restaurant is well-known for preparing scrumptious and quality dishes of sub-continent, which can be carried out or dined in at this bistro that also offers private dining room facility to its clients. This small eatery in Al Karama district is not less than a tiny box that has more to offer than its size, simply because from food to service and decor to environment everything is rated first class in this Indian restaurant. Moreover, guests get to savour the delicious Indian food of Amaravathi Restaurant at extremely affordable prices. If you are looking to bask in the south Indian food in Dubai, then Anjappar Chettinad restaurant is one of the best establishments to stopover. This bistro serves authentic chettinad food from the southern region of India that is not only great in taste, but it is also ideally spiced up so it would not burn up your tongue. Indian restaurant cannot only be found in the above specified areas of Dubai, as there some other localities as well, where at least one Indian eatery is located. For instance Kamat Restaurant in Ghusais Dubai, Indi Spice Restaurant in International City Dubai,Zafran Restaurants in Dubai and Alkauser Restaurant in Satwa, Dubai.